Today is our wedding day! Yup, Feyoncé and I are tying the knot. Oh you bet I can’t wait to share all the details with you. But for now, I’m sharing our wedding ring shopping experience and revealing the bling that made the cut! We decided our 8th love anniversary would be a perfect day for ring shopping. I had my heart set on matching rose gold bands. 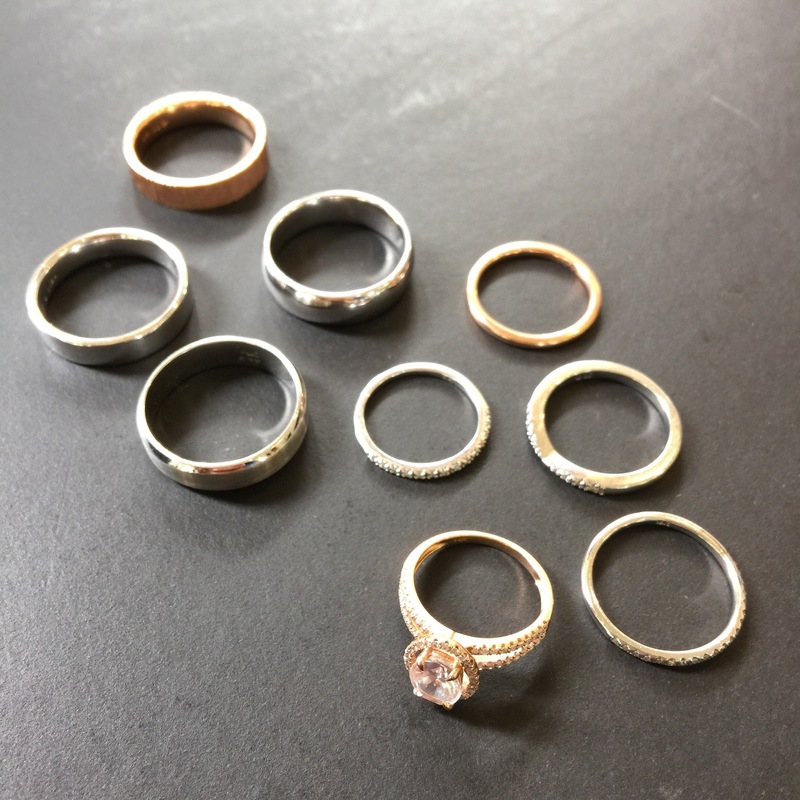 We chose to shop at Brilliant Earth because they have a large assortment of rose gold options, ethically source their stones, and use only reclaimed metals – love it! 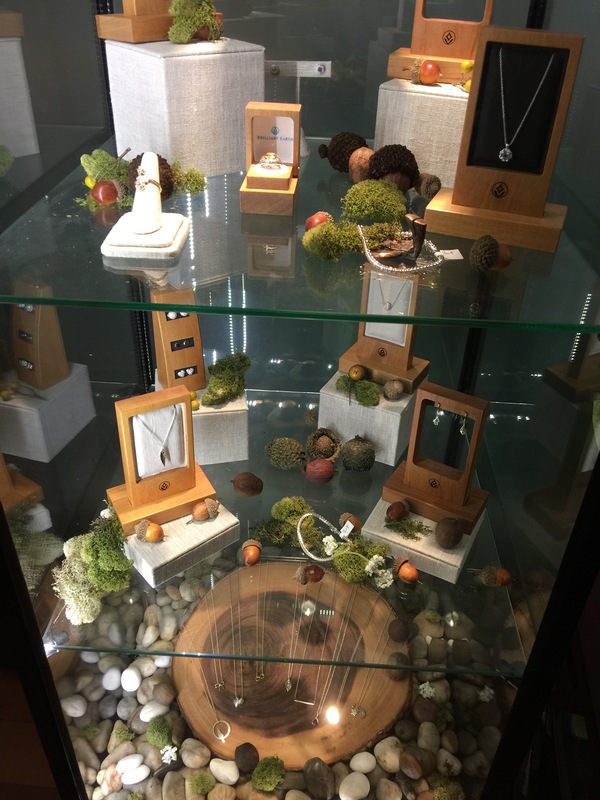 Lucky for us, there is a Brilliant Earth show room nearby and we got to shop in person. Making the appointment was simple and despite the pressure to pick rings to last a lifetime, our ring guide and the overall comfortable spa like atmosphere in the show room made ring shopping so much more enjoyable. We tried on a number of styles and our ring guide was able to offer suggestions. 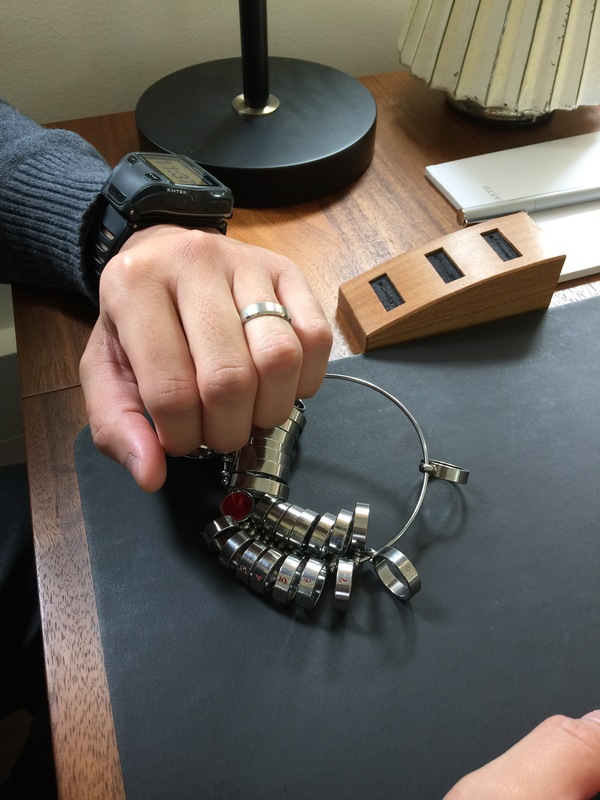 All of their rings were made to order and customizable. If you saw something in white gold, but wanted it in rose gold, they could make it for you. Brilliant! Feyoncé chose a sporty ring with a matte finish and beveled edges. I chose a ring with a pavé diamond setting on the top half – to match my engagement ring of course. It’s got a little bit of weight to it, but it also has a dainty feel. Here they are in white gold. To celebrate our purchase, we grabbed milk tea at Mr. and Mrs. Tea House. It only seemed fitting. A few weeks later we picked up our freshly made rings. We were running late to our appointment, but the Brilliant Earth staff was still able to accommodate us. Again, they were so calming and helpful. We couldn’t be happier with our purchase; they turned out so lovely! We’re ready for I do!